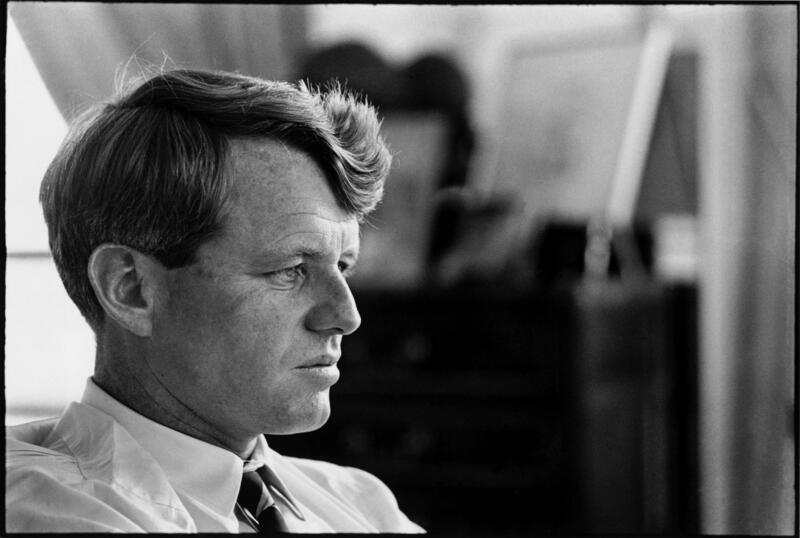 Two of Robert Kennedy's children are calling for a new investigation into their father's assassination. Kennedy was shot to death on June 6th, 1968 in Los Angeles after winning that year's California Democratic primary. Sirhan Sirhan, a 24-year-old Palestinian immigrant, was arrested and pleaded guilty to the crime. Originally sentenced to death, Sirhan is still housed in a California prison. But Robert Kennedy Jr. says he believes someone else shot his father and wants a new investigation. And Kathleen Kennedy Townsend, the former lieutenant governor of Maryland, told The Boston Globe that she agrees with her brother. "I think Bobby makes a compelling case," Townsend told the paper. Robert Kennedy, who served as his brother John F. Kennedy's attorney general and then a senator from New York, had 11 children, and not all of them are on board with a new investigation. "As we approach the 50th anniversary of my father's passing, I think what is most important is that our country and my family reflect on what my father stood for and fought for — a legacy promoting global peace, social justice, and civil rights," Joseph P. Kennedy II, a former congressman, told the Globe. His sister, the activist Kerry Kennedy, seemed to concur that a new investigation was unnecessary. "The reason that people are interested in the circumstances of my father's death is because of what he did with his life," she told the Globe. "And I think we should focus on his life and not so much on his death — his moral imagination, his capacity for empathy, his quest to heal divisions, and his belief that one person can make a difference." Sirhan says that he does not remember shooting Kennedy and has unsuccessfully sought parole numerous times. He was said to have carried out the assassination because of Kennedy's support for Israel, and was captured with a .22 caliber revolver. However, questions persist over whether Sirhan was truly responsible for the shooting. Kennedy ran for president before candidates were given Secret Service protection, and the Los Angeles Police Department's investigation into his murder has been roundly criticized. Robert Kennedy Jr. met with Sirhan and emerged convinced that someone else had killed his father. "My father was the chief law enforcement officer in this country," Kennedy told The Washington Post last weekend. "I think it would have disturbed him if somebody was put in jail for a crime they didn't commit." Paul Schrade, a former United Auto Workers official one of the five other people who was shot alongside Kennedy, has argued for years that Sirhan wasn't the shooter. For one thing, he says that audio recordings of the event show that 13 shots were fired, but Sirhan's gun could only fit 8 bullets. Schrade's evidence, along with the official record and his meeting for Sirhan, was convincing for Kennedy Jr. "There were too many bullets," he told the Post. "You can't fire 13 shots out of an eight-shot gun."